This one is to help you learn the process of iOS App Development! A complete iPad and iPhone development course. From Beginner to pro! Do you want to program iPhone apps and iPad apps but are not sure where to start? Are you ready to jump right into the exciting world of mobile development but have little or no programming experience? Then this is your course! Our iOS Development Code Camp is the only course available that allows a non-programmer to learn the basics of programming and then create iOS apps. 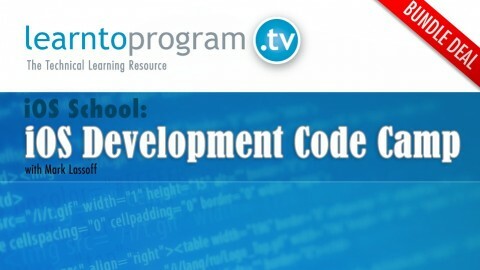 The set of iOS app development tutorials will teach you how to program iPhone and iPad apps. Starting with the very basics of C programming long-time technical trainer Mark Lassoff will take you through the fundamentals of programming iPhone apps.